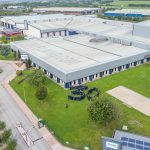 Mars Care & Treats and a company that makes pet treats and have a large factory in Birstall, just outside Leeds. It’s quite an amazing place actually, with a special area for walking dogs and a very friendly collection of staff and employees, all of whom are allowed to bring their dogs to work with them whenever they want. There is even a big TV screen in reception with portrait photos of the dogs, with their names, showing who is visiting the factory today! 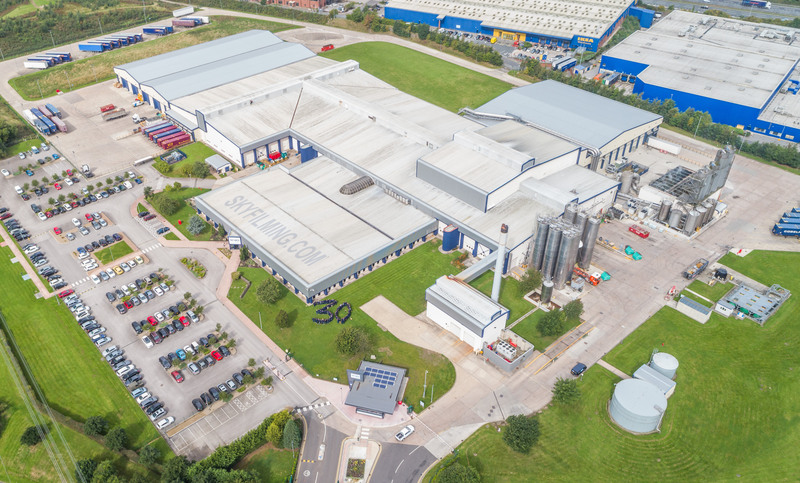 This was actually our third visit to the plant, the first was way back in 2012 where we took some aerial photos of the plant to update an old aerial photo they already had taken a few years earlier with old school plane aerial photography. 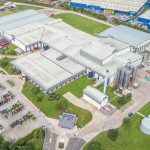 The second visit was a couple of years later when they’d made some new additions to the factory and wanted to get an updated version of their aerial photograph, as well as a plan view of the buildings and grounds. This visit had the same remit, to capture an updated version of their lobby aerial photograph, showing the new parking layout and security building at the entrance. 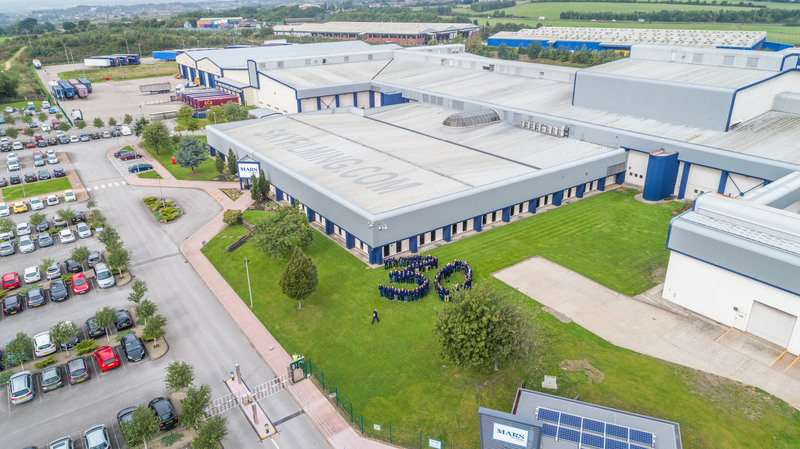 However, it was also a special occasion as it marked the 30th anniversary since they moved the factory to this location, so they also wanted an aerial photograph of some volunteer staff marking out the number thirty. As an addition, we also created an orthographic projection of the entire site, a sort of computer model, or very hi res version of a satellite image, taken from high quality drone photographs and stitched together with specialist software.